Pyro was a talented racehorse who was placed in the G1 Breeders’ Cup Juvenile before landing the G1 Forego Stakes and plenty of his offspring seem to be inheriting his talent. At the weekend, he recorded no fewer than three JRA winners, headed by the promising Shigeru Kaga. Shigeru Kaga, already Stakes placed, won the Yamashiro Stakes, run over 1200m at Kyoto on Sunday to earn a return visit to Stakes company on his next start. Also on Sunday, Dragon Pyro took the 2100m maiden at Tokyo, while Pyroxene recorded his first win when victorious over 1700m at Kokura. 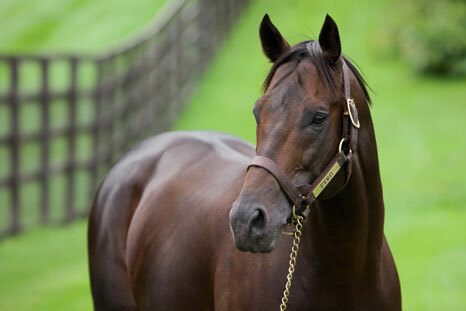 Pyro stands at Darley in Japan at a fee of 1.5 million yen.